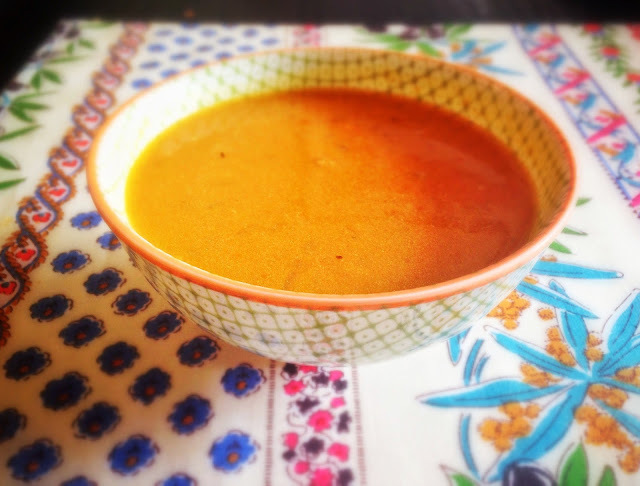 I started making this soup around Thanksgiving, when I had leftover pumpkin from making pies! This is a nice soup for cold weather - comforting, with a hint of sweetness. Heat olive oil in pot. Add onion and shallot and cook until translucent (not browned). Add garlic and ginger, cook another minute. Add stock and cook 10 minutes. Add pumpkin, agave and spices. Stir together and cook 30 minutes covered. Add milk or cream at the end. Serve with a dollop of creme fraiche if desired.